DWG Hunter — Alephograph: Architecture, drawing and video games. A work in progress game where the player finds glitches in virtual structures and navigates using revision clouds - a common symbol in architectural drawings. The game utilises a light procedural system for the distribution of symbolic architectural objects, and also has a number of different camera modes for recording the world as one goes. 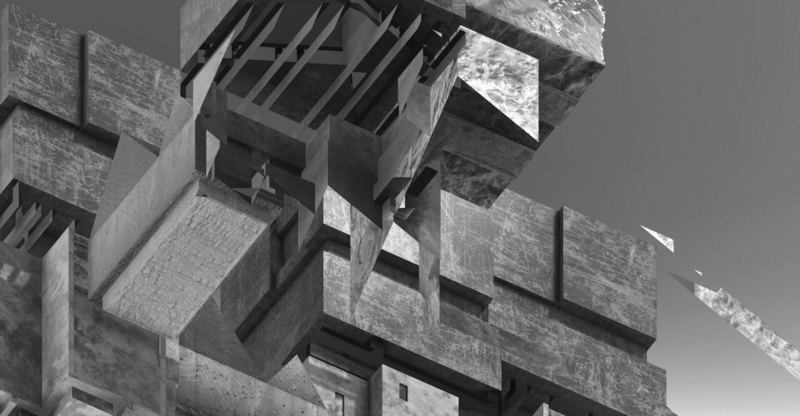 Using various camera angles, the player can capture screenshots as a process of architectural drawing, re-framing the results of the procedural process.